This excellent quality long haired brush is made with Pure Red Sable hair and is a great all-rounder, especially when working on finer details. 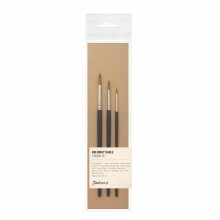 Jackson's Kolinsky Sable Brushes represent the best a brush can offer but at an extremely good price. 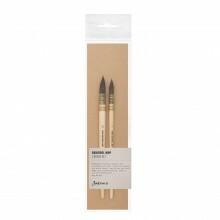 Made with pure Kolinsky Sable hair, these brushes are finished with a seamless gold finished ferrule and a black polished handle that fits comfortably in your hand. 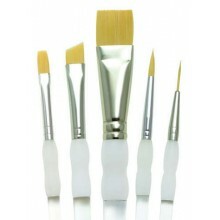 These brushes are often used by the best artists. They are known for their quality when picking up and dropping paint, as well as their precise control. Series 920 - Great all-rounder, especially when working on finer details.